Joe Paterno spent 46 years coaching football at Penn State University. Last night, the Board of Trustees told him no, you can’t retire in six or eight weeks. You’re fired, as of now. And he’s not the perpetrator. Only do sexual things with your wife. Very, very simple. It works for old men, it works for single guys, it works for fraternity brothers and teenage jocks and young boys with squeaky voices. Is that girlfriend your wife? No. Is that other man your wife? No. Is that child, that animal, that object, your wife? No. Are you your own wife? No, you neither. Then you don’t do sexual things with them. Only do sexual things with your wife. Former Penn State football coach Jerry Sandusky was charged November 5 with 40 criminal counts, including sexual assault, against boys as young as 11. Reading about it is nauseating. It’s revolting stuff that doesn’t bear repeating, except to say this is not a case of suspicion or testimony by children or other things which arise in abuse allegations. Sandusky was seen by different adult witnesses on separate occasions, performing sexual acts with children in the Penn State locker rooms. It’s not about unwelcome hugs. It’s stuff that got people stoned to death in the Old Testament. There are a million words coming on this story. Reading them will be like swimming through a sewer with your eyes open. The fact is this man’s perverse desires will put him in prison, where he is likely to experience some abuse from the victim’s perspective. Who can say what he’s done to the lives of these eight boys? He’s wrecked his own life, too. But the results of his lust have now ended the career of head coach Joe Paterno and the 16-year tenure of university president Graham Spanier. Athletic director Tim Curley and university vice president for finance and business, Gary Schultz, were also arrested November 5 and charged with perjury for their handling of the investigation. I’m sure that Sandusky never expected to bring down the careers of Paterno and three other men in dishonor and criminal charges. He never imagined he would crush his own family and the wives and children of his colleagues in shame. He never thought his shower-time meetings with boys in his mentoring program would be national headlines. But I’m sure at some time in the long distant past, Sandusky reached a fork in the road and had to make a decision – do I look at that image, or do I indulge that thought, or follow that fantasy in my mind’s eye … or not? When you reach those intersections, the answer should be, Whoa—Don’t go there. Then you change channels, or get out of the shower, or go for a walk or something. Take the other road. Sandusky, at some crucial moment which he probably never recognized—probably none of us know at the time when those critical points are reached—at some point, he said to himself, It’s not real. It won’t hurt anyone. And no one will ever know. And from that moment on, he was on a downward road. He didn’t wake up one morning and decide, out of the blue, Hmm … I think I’ll commit a felony against a child today. Even the crimes that were witnessed show a pattern of progression. It was the fruit of years of small steps on a path he chose to follow. Somewhere, he gave himself permission to take that path. Likewise, the act of adultery is sin. So is the longing for it, Jesus says, because even indulging the wish is counted as the sin. Adultery, and all sexual sin, doesn’t start in the bedroom; it starts in the heart, in the imagination, and God says No, don’t go there. Thoughts matter. Two simple rules, words of just a few syllables. Thoughts matter. Only do sexual things with your wife. Sandusky disregarded them, chose a different path, and here he is now. Could we be near a crossroad in our own lives today? Could our sons? (c) 2011 by Hal and Melanie Young. Wonder where to start when talking to your sons about purity? 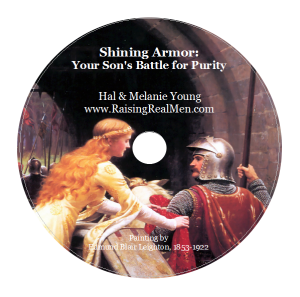 Listen to our workshop “Shining Armor: Your Son’s Battle for Purity”. Order below or CLICK HERE to order and check out our other great resources. Scripture quotations from the English Standard Version. Add items to cart, then click check out in the shopping cart in the left sidebar. So, are you saying masturbation is a sin? You clarify that lust is a sin, which is spot on (it’s in red letters), but where do you get masturbation as sin? Do you believe masturbation cannot occur without lust? What about a married man? Can he lust after his own wife? Hopefully you see where I’m going with this. Many men struggle hard with lust, and I understand the need to stress the importance of identifying lust and cutting it off before it takes hold, but why make up a rule that isn’t in the Bible? I only bring this up because I basically agree with everything else in the article. Thank you, I would very much like your input on the subject. 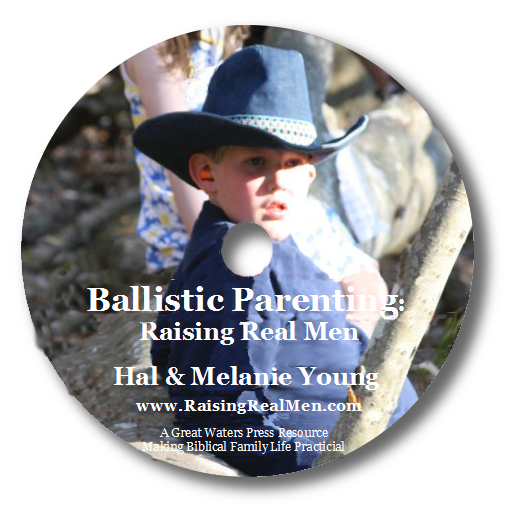 I am a wife and mother of a soon to be 13 yr old, and 9 yr old sons and my husband and I have not had the direction on this that I feel we need to guide our boys through these next years. 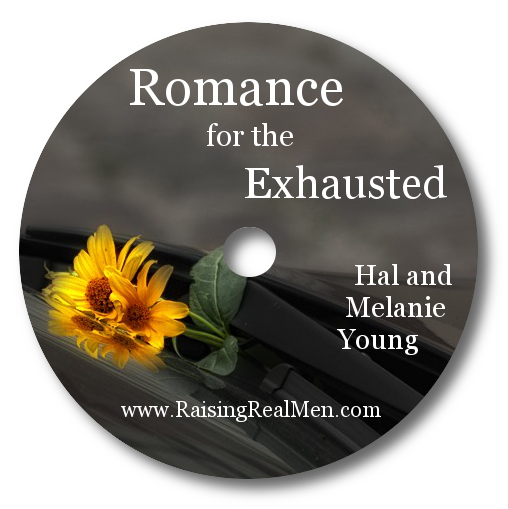 Thank you for this great article Hal and Melanie. Puts things into wording and God’s perspective for sharing with our sports minded young men. 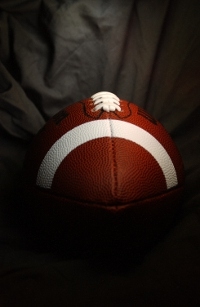 There were so many MEN who turned a blind eye…the janitors who all discussed it, the football intern who witnessed it, Paterno, who knew about it, the athletic director, the communications director, and who knows how many countless others caught wind of it. And NOBODY DEFENDED THE CHILDREN! It is shocking, disturbing and disheartening. Where are the REAL MEN who should have charged in and disrupted the crime and called the police and maybe even gave Sandusky a punch or two. I want my son to grow up to be strong and courageous and willing to get involved and rescue people who need rescuing. Come, Lord Jesus, come, and defend the defenseless and hear the cry of the brokenhearted! Absolutely on target! I was shocked by their failure to remotely do the decent thing. That is exactly my reaction–and what I hope my sons would do if ever they witness anything so horrible–grab the child, protect him, call 911, punch the guy if necessary, and then pray for the healing of the child. Having a 9 y/o son, it makes me almost physically ill to contemplate. May God have mercy on them. Hear! Hear! There’s a lot of people that need way more punishment than they’ll probably get. It’s sickening. I know, I don’t get it. This man saw a child being raped and was more concerned about losing his job than getting that child out of the situation? And then he goes home and calls his father to ask his advice on what he should do about what he just witnessed–and his father doesn’t hit the ceiling, but tells him to let Paterno know the NEXT day! Sweeping it under the rug for the sake of their jobs and for the sake of a sports team. It’s DISGUSTING. And they thought taking Sandusky’s key to the locker room from him was going to cure him of his perverted behavior? I hope the victims have been able to get the emotional and spiritual help they must surely need. May God grant those young men healing and strength. it to all my older boys. Keep up the good work. Thanks, Mike! May the Lord bless your great work, as well! What a great article. As the spouse of a “victim” I see first hand the consequences of the sin of another on not only the physical, but emotional and spiritual components of the person. And like many other victims, there were other “good men” who witnessed or knew about the situation” Children’s Services was called on numerous occasions, and each and every time the reputation of the possible criminal was put before erring on the side of caution to protect the child. I can only pray that the media attention placed on this event can bring to light the heinous crimes committed against children on a daily basis, in even the best of neighborhoods, possible the door next door. I pray that each and everyone of us takes a hard look at ourselves to prepare our heart before the Lord so that if we are ever faced with a situation that we might respond with courage. We all have opportunities to intervene and defend and support those weaker than ourselves, be it innocent children, victims of bullying, even other adults that are being defamed with gossip. I think Edmond Burke said it well and Churchill reiterated the sentiment. Exactly, Allison! I’m so sorry about what happened to your husband. This kind of sin is just so incredibly horrible. Amen. You have worded this message thoughtfully and well. Thank you for the Christian perspective you have given this tragic matter.